THE former president of Central Queensland Rugby Union has been jailed for five years for fraudulently obtaining a loan. Ian John Coombe, 56, was today sentenced to a five-year jail term, suspended after 18 months and operational for five years, after he fraudulently obtained a $465,000 loan from HomeSec by putting up the CQRU's home grounds as security in 2015. The accountant worked for CP O'Shea and Co. He was sentenced in Rockhampton District Court today. He had entered his guilty plea in October 3, but issues were raised with the Crown Prosecutor's allegation that Coombe's actions caused the downfall of CQRU. Defence barrister Steve Zillman said the defence contested the claim that the loan caused the collapse, saying the club had been "struggling for many, many years" and had been "topped up" by his client's own funds. The matter was adjourned with Judge Michael Burnett ordering another financial report be provided to show if Coombe's actions caused CQRU to go into voluntary liquidation. 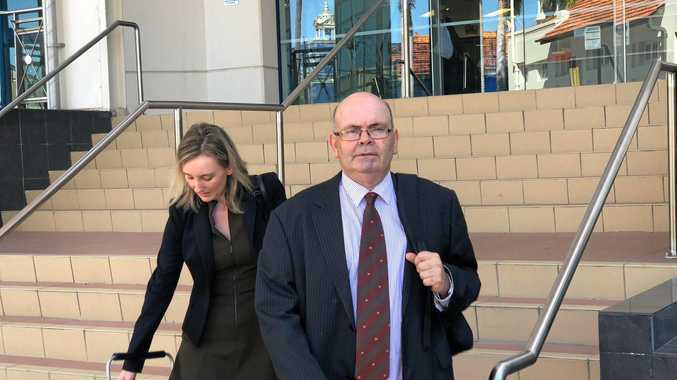 On Tuesday, Crown Prosecutor Joshua Phillips said it was no longer alleged Coombe's fraudulent loan caused the not-for-profit sporting organisation to collapse. "It was an event waiting to happen," he said. Judge Burnett asked questions of Mr Phillips in relation to the new report, which showed another CQRU inactive director - Gregory Bruce Starr - signed the loan paperwork. He asked if Mr Starr had been charged. The answer was he has not. 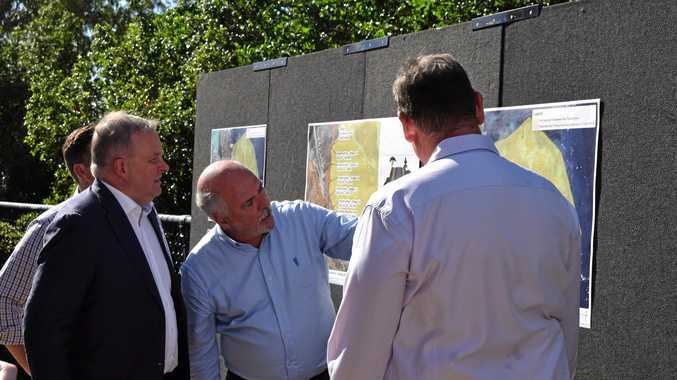 It was revealed through discussions between parties in court that Coombe created a fraudulent invoice that claimed CQRU had to pay an outstanding debt to a mining exploration business - Central Queensland Exploration - of $400,000. Coombe, who had been involved with the rugby union club since 1979 and was a principal creditor, provided this invoice to HomeSec for the loan application. He also used the club's grounds at The Range, which was worth $800,000 to a million dollars, as security. Coombe then wrote a cheque, co-signed by David John Wright, to Glenmore Holdings Pty Ltd for $100,000. He then wrote a cheque for $280,000 for CQ Exploration, also co-signed by Mr Wright. Mr Wright has not been charged with any offences relating to this matter. Other cheques were written and there was $41.50 left of the $465,000 loan. The court heard CQRU vice-presidents Anthony Gambling and Glen Dodds became curious in 2015 about the club's finances and asked to see an audit of accounts. Coombe provided them with a spreadsheet of finances. Mr Zillman said Coombe confessed to the board on July 29, 2015, what he had done. Police then became involved. The board voted in August 2015 to go into voluntary administration. "It was obvious from the auditor's report (Coombe) was owed a significant, legitimate, amount by the club of $670,000," Judge Burnett said. The grounds at The Range was sold to Rockhampton Grammar School for $600,000. Mr Phillips said Coombe has repaid the $465,000 loan which had a 48 per cent per year interest for a two month loan and a 20 per cent default rate to HomeSec. "He sold various properties and assets to pay out HomeSec," Mr Zillman said. "He has otherwise been left destitute. His practise was sold. His accountant's licence suspended. "He has been without employment for some time. Mr Zillman said Coombe was once highly regarded in the community due to his long extensive involvement in organisations including being chairman of Beef Australia at one time, Chair of Community Solutions Group, along with holding vice president and treasurer positions at Queensland Country Rugby Union. "He financially propped up CQRU, not only through his voluntary work but through financial assistance," he said. The court heard Coombe gave about $700,000 to CQRU over time and had not taken one cent back before fraudulently applying for the loan. "Without his assistance, the club would have collapsed years before," Mr Zillman said. Judge Burnett asked why, given that Coombe knew for years the club was struggling, he carried out "this ruse" instead of putting the organisation into liquidation himself - which he had the power to do. Mr Zillman said his client "was in a position of desperation". He said Coombe had spent the past three and a half years in limbo, but did not sit idly as he volunteered with Scouts and for a gymnastics club. The court heard Coombe has a job offer as office manager at Stewarts Department Store in East St when he is released from prison. 1.30pm: ONCE a high-profile community member, the now disgraced former president of Central Queensland Rugby Union is behind bars. Ian John Coombe, 56, was today sentenced to a five-year jail term, suspended after 18 months and operational for five years after he fraudulently obtained a $465,000 loan from HomeSec by putting up the CQRU's home grounds as security in 2015. The practising accountant was sentenced in the Rockhampton District Court this morning. He had entered his guilty plea in October 3, however issues were raised with the crown prosecutor's facts where they alleged Coombe's actions caused the downfall of CQRU. Defence barrister Steve Zillman said the defence contested the point that the loan caused the collapse, saying the club had been "struggling for many, many years" and had been "topped up" by his client's own funds. Read the full story from October 3's matters here: Did Coombe cause Central Queensland Rugby Union's collapse? The full story from today's proceedings will be online by the end of today.